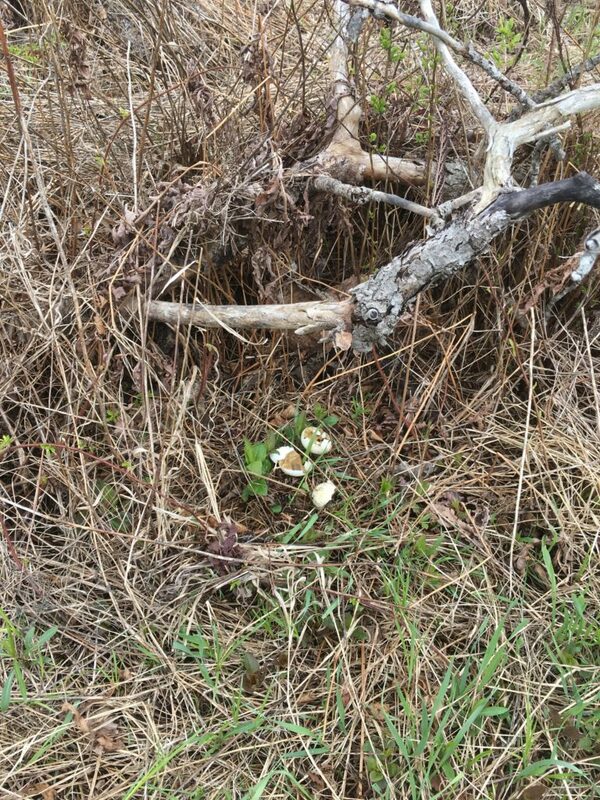 This is a turkey nest we found this week that was preyed on. The likely culprit was either a fox, raccoon or mink. Many turkey eggs are prayed on during the spring. Hen turkeys will breed again until they can hopefully raise a brood of chicks. It is not uncommon to see young chicks in the end of June as a result of multiple failed nests. This entry was posted in Uncategorized on May 9, 2017 by pbartlett.